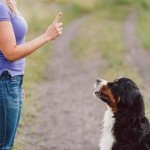 Teach your dog to focus on you and respond attentively to your requests! We offer exceptional in-home obedience training. 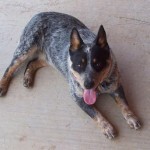 We customize our programs for your dog’s specific needs. You and your trainer will discuss priorities and training goals during your dog’s first session. Lessons are 50-60 minutes each, in your home and neighborhood, to achieve results in real-world settings. We offer two levels of training: the first to teach a solid foundation, and the second to ensure distraction-proof reliability. (Dogs 1 year and older) We start teaching obedience skills with a positive approach, using food, praise and toys to motivate your dog to learn. Then, we practice those skills in new settings so your dog learns they mean the same thing everywhere. 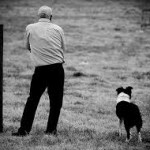 Finally, we supplement with traditional training, so your dog understands the importance of responding to cues the first time. As a result, your dog will have more focus on you and know how to respond to both verbal cues and hand signals. We book nearly every day of the week and will navigate around your schedule. Obedience Level 2 is for clients who want their dogs to respond to obedience cues out in the real world, in the presence of passing dogs, chirping squirrels, and other prey-like creatures. Advance your training from the living room to the real world! We teach dogs to come when called, off leash and untethered! Pavlov’s off leash program is a hybrid of traditional and motivational training. Read about our dog training approach here. Training begins in safely enclosed outside spaces, and progresses to off leash areas. A quality remote electronic collar (e-collar), including the EZ Educator or Mini Educator. Quality e-collars generally costs between $180-$200. Pavlov uses low-level stimulation electronic collar training to teach your dog how to respond to subtle sensations. This will allow you to communicate with your dog remotely, even if he’s chasing a squirrel towards a busy street. This is not shock training of yesteryear, which used e-collars solely to give high level corrections. If you have yet to learn this modern, humane way of using an e-collar, we look forward to showing you how it can be done while leaving your dog joyful and SAFE off leash. WHAT CAN MY DOG LEARN? Fill out our Contact Form form to request enrollment in one of our Obedience Programs. Pavlov’s dog trainers were voted Best Training in Denver (2014 – 2018) on Denver A-List. 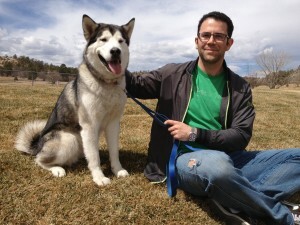 We are the most Google reviewed Dog Training company in Denver, and clients give us a solid five-star status.